Today I need to head out to Lowe’s to top up an Amex Offer for 10% off there. 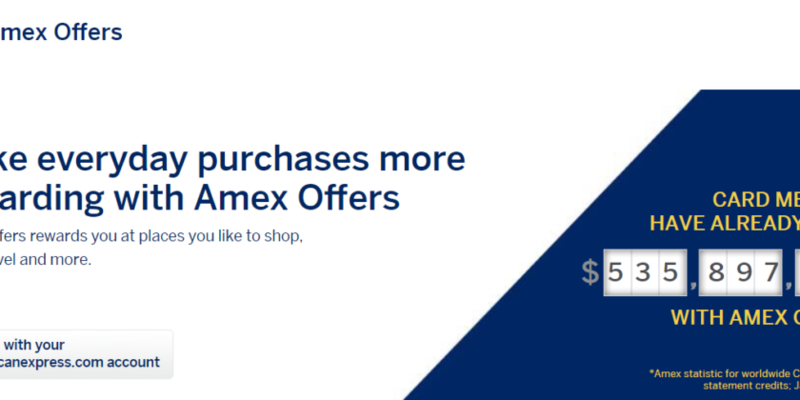 Most Amex Offers are completely useless, but every once in awhile an extremely lucrative one comes along. Every week when I do my budget, I have American Express open in one of my Budget browser tabs. (Why does Chrome ask me if I really want to open 19 more tabs? Yes, I want to have as many tabs open as I need, dang it!) Anyway, we have three American Express cards: Blue Cash Preferred, Hilton Ascend, and Starwood Business. 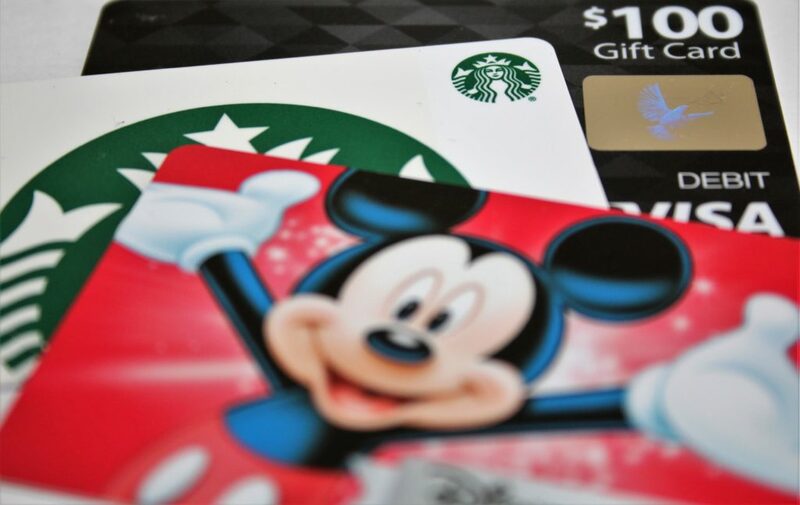 Each of them qualify for Amex Offers, and although most offers are the same across all of the cards, they do vary a bit, for instance, getting targeted on the business cards for more business-like expenses. It used to be that you could add offers to each card (owner, plus authorized users) individually using an incognito browser. Ahh, those were the good old days, especially when they had an offer like Spend $25 at Smart & Final and get $25 Back Times 3, or even the more recent one of Spend $25 at Starbucks, get $5 Back would be valuable to hit as many times as possible. However, Amex caught on, and now you can only add each offer to one card, either owner or authorized user. I recommend having a separate login for each authorized user still, because then you can choose who gets which offer. 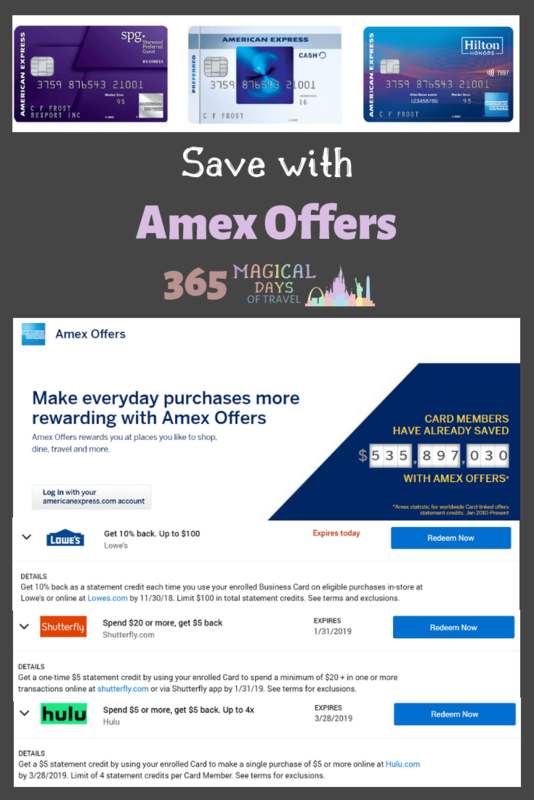 Right now, we have a couple of Amex Offers that we will use. We subscribe to Hulu, so I changed over our billing to that card for the next 4 months. That’ll be $20. Then, the Shutterfly one will get us $5 off our holiday cards. And the Lowe’s one will get me 10% off my next home improvement project. The terms state that it’s not good on egift cards, but it doesn’t state expressly that I can’t buy gift cards in the store, so that is what I will do. The one I’m waiting for, and I’m not sure I can wait much longer due to a current sale, is Undercover Tourist. They’ve had Amex Offer in previous years, but it hasn’t popped up yet. I need one more ticket to Universal Orlando, having bought two during the Daily Getaway sale in the spring, and I want to make sure I get a good price on the last one. You can follow Amex on Twitter to be notified of their Amex Offers right away. If you connect your card, you can even add the offer right from Twitter! The links in this article are referrals from me or Bryan. You can choose which card you apply for, even if it’s not the same one we have. We will get bonus points for referring you, and you will get whatever bonus is available for that card. Win-win!